The United Methodist Women is an organization under the Discipline of the United Methodist Church. It is charged with providing opportunity for spiritual study and growth as well as service in the name of Jesus. There are two circles and each meets monthly at various homes and the church. The meetings consist of a short UMW business meeting, time for spiritual study, and time for fellowship augmented by delicious food. The Susanna Circle meets in the evenings on the 2nd Monday of the month at 7:00 pm. The Priscilla Circle meets in the mornings on the 3rd Monday of the month at 9:15 am. Each circle has its own projects as well as being part of the UMW projects. If you would like more information or want to join us, please click here. This group of women meets weekly to have fun, fellowship, and use their knitting and crocheting skills to produce many types of items that are then used in various ministries. The group initially started to knit prayer shawls. Click here for more information. They meet Monday mornings in the church parlor from 10:00-12:00 noon. For information on the classes check the appropriate education pages. 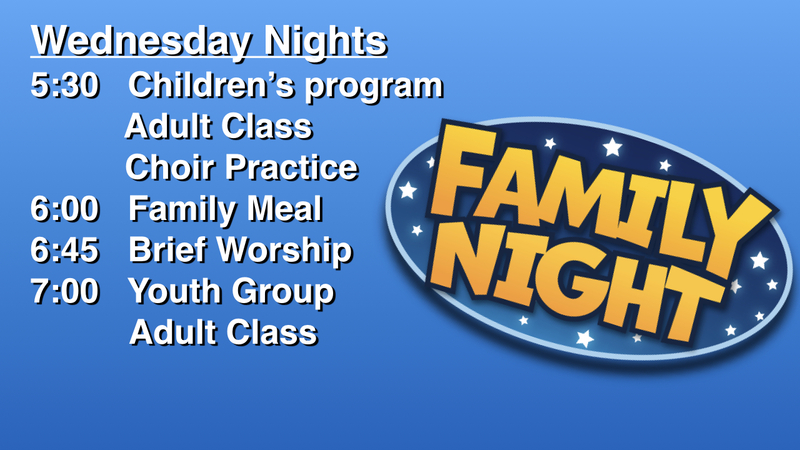 Family Fellowship is a Wednesday Evening event consisting of families of all ages coming together to have activities, educational times, a meal and fellowship, and a short worship time. This is scheduled every Week from 5:30-8:30 pm. This fellowship event occurs the first Saturday morning every month. It begins at 7:30 with a hearty and delicious breakfast cooked in our kitchen. 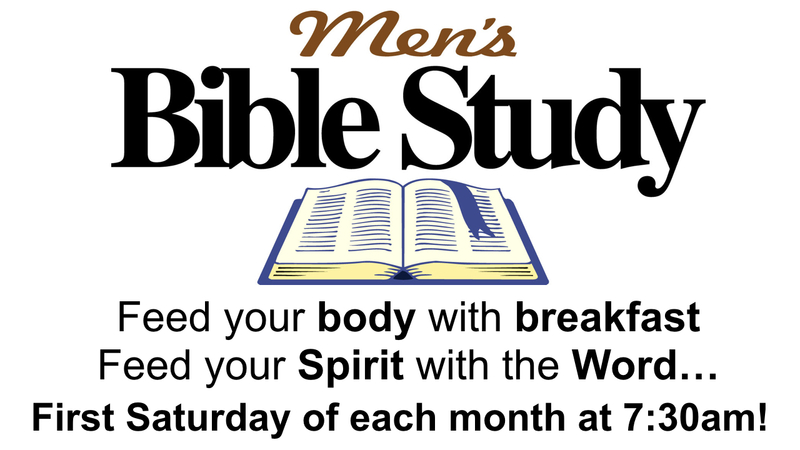 Following the meal and fellowship, a Bible study led by Pastor Lyle Krumrie goes from 8:30-9:30 am.